Weekend getaway or just put down some roots, this secluded Beaver Lake hideaway includes 2 boat slips with lifts !! 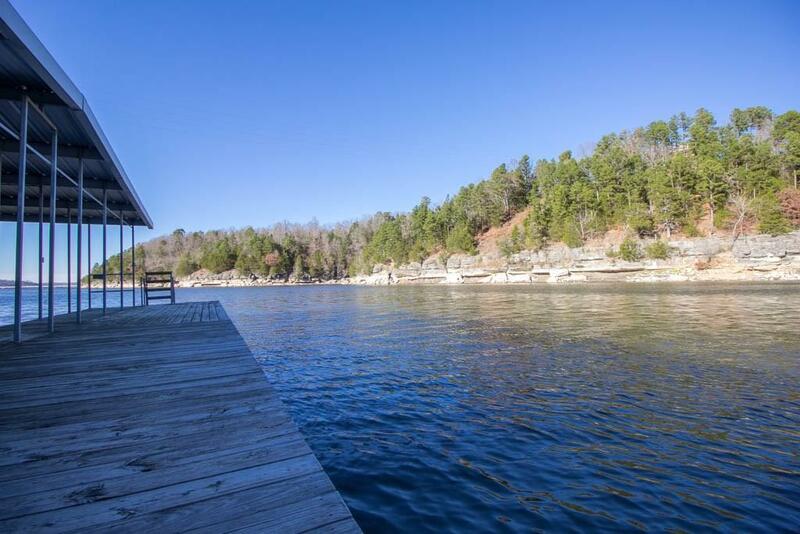 Nestled near Arkansas' largest state park and conservation area, recreational opportunities abound. Large open living area w/gas logs and hardwood floors provide that modern and cozy feel. Relax on back patio around the chiminea. All this with city water and U-Verse !! 4 person golf cart and riding lawn mower included with this treasure. Furnishings and boats negotiable. Don't wait, book your appointment today ! !